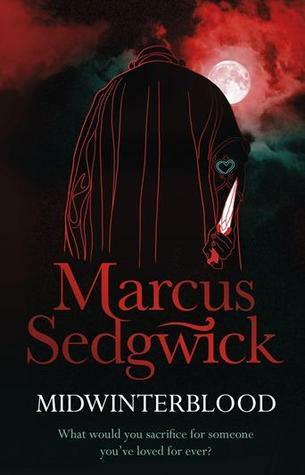 I read some blogs about Marcus Sedgwick and decided to pick up a couple of his books from the library, so I selected this one and White Crow. I am not normally a reader of YA so this is not something I would ordinarily pick for myself. The book uses a very clever reverse chronology plot device. It works very well in this book. The prose is sparse, there are no wasted words here, which for me is definitely a good thing. I don’t know what I would classify it as, science fiction, fantasy, mystery, thriller or romance. There are elements of each present here. The book revolves around themes of sacrifice and love, which are interconnected over the span of centuries. I liked the exploration of undying love battling the obstacles of time, man and place. There is a very clever tie in to an actual painting and artist. The book “reads” as more mature than the average YA read, which admittedly I have read few of since my children grew out of them. The mood the book evoked for me was one of despair and sadness. If you like dark, moody reads this may be perfect for you. I think it is impressive that the author can evoke mood and tension with so few words. Usually moody or emotional works rely on lengthy narration to paint pictures with words to achieve the effect, Marcus Sedgwick manages it with minimal words and some repeated imagery such as, the hare, the orchid, and the painting.